As we ramp up to opening our climbing gym, we are bringing Dustin Curtis to Prince George from Vancouver, where he is the Head Route Setter for the massive Hive Bouldering Gym. He also resently set for the World Cup, and has competed on the Canadian National Team! We'll learn to set roped routes the first day and bouldering the second. We will cover a number of considerations for commercial route setting, being part of a larger crew, and learn helpful tips and tricks. Dustin will introduce a piece of theory, we will discuss it as a group, then we'll set a route applying what we just learned; then forerun and rinse and repeat. Ideally, we will get 4 routes per person up by the end of Saturday! We will start at 9am and finish hopefully around 6 or 7pm... the first day is longest. 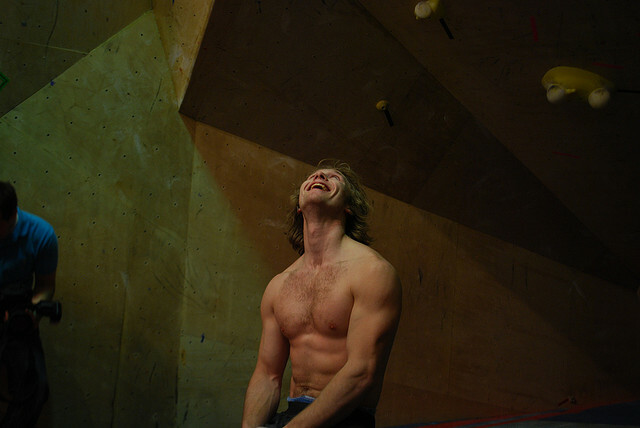 The 2nd day will be all about bouldering and Dustin is aiming for at least 5 blocs each complete by the end of Sunday. It will be structured similarly to the first day, with the addition of some more flashy concepts. In the bouldering cave we will have the ability to explore really inventive sequences! to build our relationships with other gyms and world class climbers! Interested in Taking This Clinic? Registrations are by invitation only - please email us by Sept 5th if you are interested! Maximum 10 participants. A huge thank you to Dustin's sponsors for sponsoring this event. 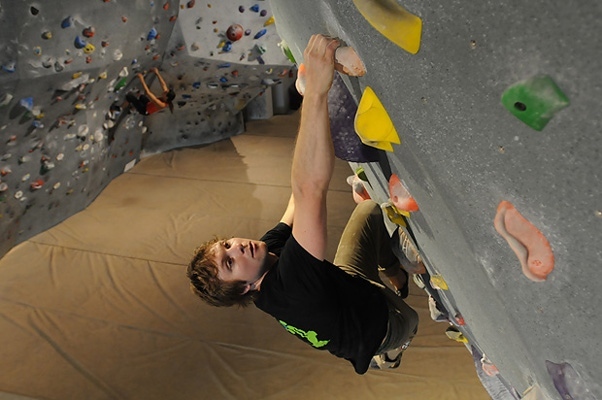 Be sure to check out Climbing Hold Review, Element Climbing, and Atomik Climbing Holds. These sponsors are sending up some swag, so you won't want to miss this! What about route setting at our gym? 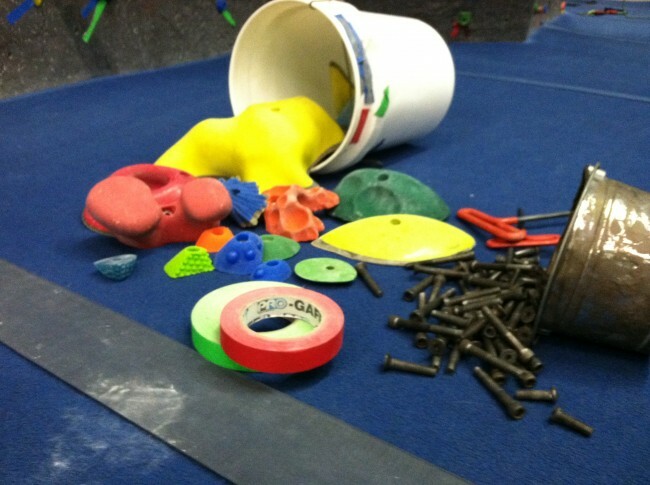 OVERhang will have standards for grading, labelling, and tracking routes at our gym. Some of the participants of the route setting clinic may be invited to join the OVERhang route setting team... Experienced and intermediate-advanced climbers who work well as team members, are excited about climbing, and can take direction may apply by sending OVERhang an email with a description of their climbing experience (both outdoors and/or in a gym), any previous route-setting experience, and examples of working as a team member.